4 Reasons NOT to renovate when selling. Renovation is all about Return On Investment. You want to be sure that the amount you invest in the renovation is less than the value you’re adding to the property. Here we explore some of the situations where we wouldn’t recommend renovating if you’re looking to maximise your sale price. 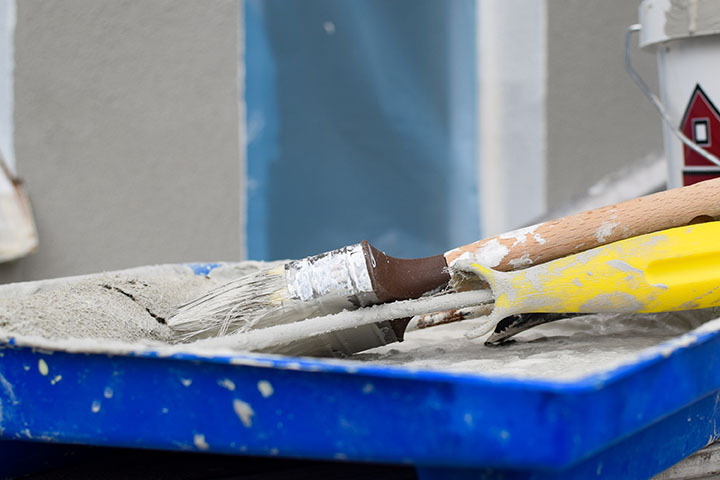 If your property isn’t in desperate need of repair and you’re conﬁdent you have a decent amount of equity existing in your property, renovations may not be necessary. Especially if after crunching the numbers, you’re not conﬁdent you would be increasing the sale price by that much, and remember a return on investment can never be guaranteed. A general rule of thumb when it comes to renovating a property for proﬁt, is to spend no more than 10% of the property’s value on the alterations. So, the ﬁrst step would be to ensure you have an up-to-date valuation of your property, undertaken by a professional. The next step would be to work out a budget, and ensure you add a buffer in case of unforeseen additional expenses. Using the 10% rule, this means a home valued at $500,000 would have a total renovation budget of $50,000. Any more than this, and you risk over-capitalising. 2. Do you need a quick sale? Most renovations take time, to plan and budget for as well as to be completed. So, if you’re looking to sell soon, renovations may not be possible. Remember too, that renovations often go over budget and can take longer than anticipated so factor all these considerations into your decision. 3. Who are you renovating for? Some renovations appeal to most buyers, such as a kitchen or bathroom upgrade, but others are personal to you and your needs, taste and style and therefore won’t appeal to the largest number of potential buyers. This can include adding extensions such as granny ﬂats, converting bedrooms into speciﬁc-purpose rooms like a media room or library, and separating rooms by adding additional internal walls. 4. Who are you selling to? This is where research is key. What is the demographic of your property’s neighbourhood? Mostly singles and couples? Mostly retirees or mostly families? Finding out who the neighbourhood is likely to attract will help you determine suitable renovations and not so suitable ones. For instance, if your local market is likely to attract families, think carefully before adding stylish but potentially hazardous staircases, or ornate glass features. Or if your potential buyer is most likely an investor, keep renovations to a minimum as they will almost certainly have their own plans and your changes may add no value to them at all. When planning a renovation, don’t shy away from asking your local real estate sales consultant their opinion on the condition of the property, the type of buyer the home is likely to attract, what similar homes in similar condition are selling for and any renovations they would recommend. You may be surprised, if your home isn’t in need of massive renovations your sales consultant will tell you and you may save yourself a lot of hassle, time and money.